Heloise is one of the most well-loved and known columnist and TV personality. She has appeared on The View and Late Night with David Letterman among others. She writes an advice column for Better Homes and Gardens. She’s the guru of cleaning tips and tricks and we, at Garcia Green Cleaners, admire her greatly. In this article, we’ll give you some of the best of Heloise’s cleaning tips so you can use them yourself. When it comes to your computer, lay a place mat over it when it’s not in use to prevent dust, dirt and pet hair from getting on or in it. Microfiber cloths can be your best friend. Keep several in your car, preferably under the front seat. You can use them to dust off the dashboard, radio and steering wheel. In the bathroom and kitchen, microfiber cloths, can clean and shine the chrome, they’ll make your mirrors spiffy and are great for wiping down the sinks. When the cloths become dirty, just toss them into the washing machine. They’re reusable! For a good metal window blind cleaner, you should use 16 oz. 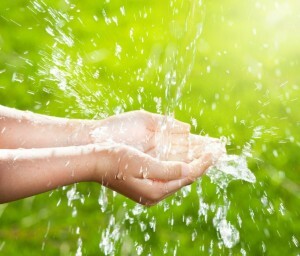 of tap water, 1 tbsp. clear ammonia (non-sudsing), and 1 drop lavender, mint or other essential oil. Fill a spray bottle and label it. Use old cotton socks to wipe away the grime. If your blinds are super dusty, you should consider vacuuming them first. Spray the sock with the cleaner, not the blind. Wipe horizontally first and then wipe vertically. For your fridge or pantry, go through just one shelf at a time and get rid of all the expired food, food you’ll never use or anything that’s less than a single serving. Make it easier on yourself during the weekday by setting your table for breakfast the night before. Put out cereal boxes, sweeteners and other non-perishables. After your family finishes with their morning routines, use a dry terrycloth hand towel on the mirror and bathroom faucets to wipe away spots of lather so they don’t build up. Go through magazines and catalog piles. Discard outdated issues about three or five at a time. Toss away junk mail daily. Freshen up your throw pillows by tossing them in the dryer, one or two at a time, on the air cycle. There you have it – some of the best cleaning tips from Heloise, the household cleaning tip queen. We hope you find them helpful and can use them in your daily life. 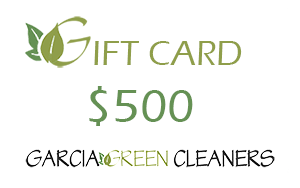 Remember if you need a great cleaning, Garcia Green Cleaners is available. We just opened a new office in Austin. The phone number there is 512-705-2812.